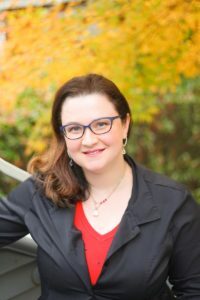 Northgate dentist Dr. Ilona Furman is a proud Washingtonian. She followed her childhood dream of becoming a dentist by volunteering, dental assisting, and working for local area dentists and orthodontists while going to school. Dr. Furman graduated from the University of Washington undergraduate program in Biology. 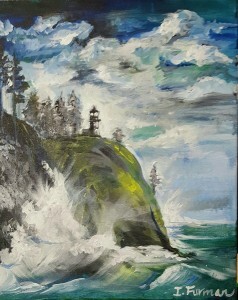 She attended the prestigious University of Washington School of Dentistry, ranked among the top three in the United States. Dr. Ilona Furman went above and beyond the regular dental coursework by doing student research for two consecutive years. At UW she studied the relationship between enamel thickness and ancestry, and the dynamics of tongue motion in anterior open bite. She had the privilege to present her projects at a national dental research conference (IADR) in Dallas, Texas and New Orleans, Louisana, respectively. These days Dr. Furman and the All Smiles Team devote countless hours to continuing dental education; we are finding ways to incorporate innovative therapies and customer service skills into our daily practice. Our office is paperless, eco-friendly, modern and advanced with the latest technology to enhance the patient experience (see the Technology section). Before opening All Smiles, the doctor worked as an associate dentist in a private practice that used CAD/CAM machines to design, fabricate and seat custom crowns in one visit. 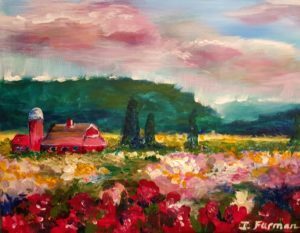 In her spare time, Dr. Furman enjoys playing tennis, painting with acrylics and watercolors, taking photographs, and exploring the beautiful Pacific Northwest with her husband, daughter and son. She in the Russian language and can speak some Spanish. 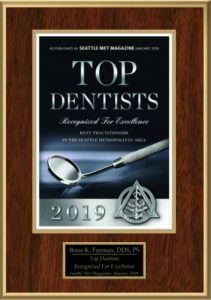 In 2019, Dr. Ilona Furman was honored as Top Dentist by her peers and colleagues in Seattle Metropolitan magazine.